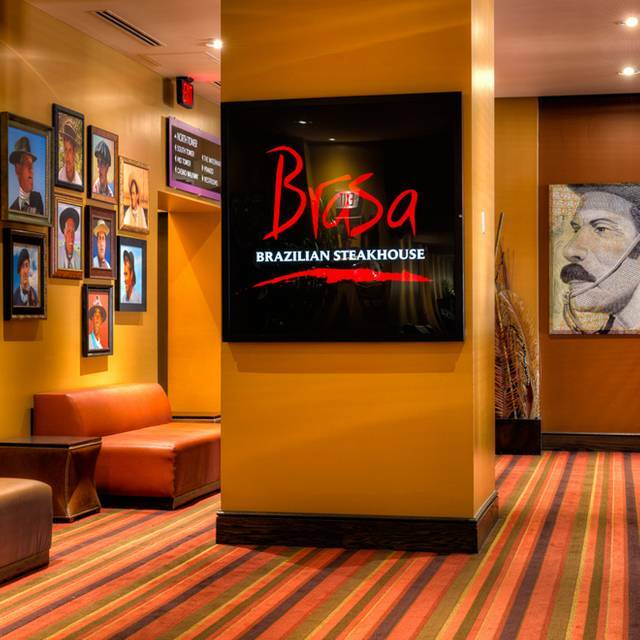 You must make reservations at least 5 minutes in advance of the time at Brasa Brazilian Steakhouse - Niagara Falls. Live Latin entertainment on Friday, Saturday and Sunday nights! 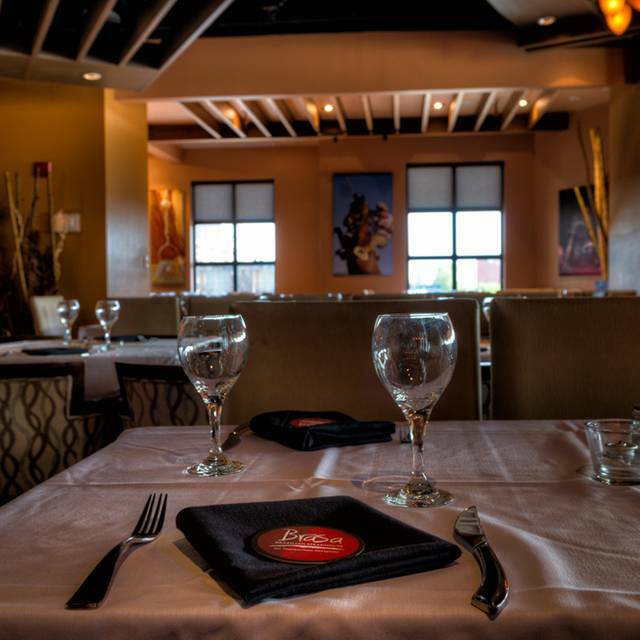 Brasa offers both private and semi-private dining options. 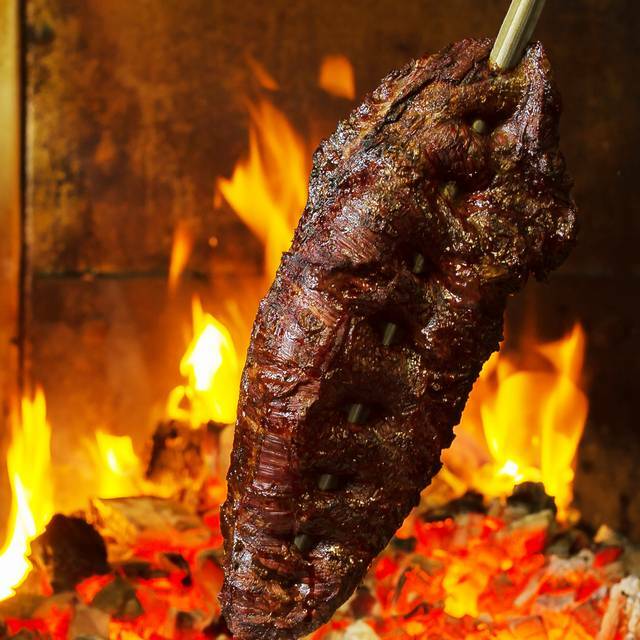 Nestled inside the Hilton Niagara Falls/Fallsview Hotel and Suites, Brasa showcases the flavours and cultural flair of Brazil. 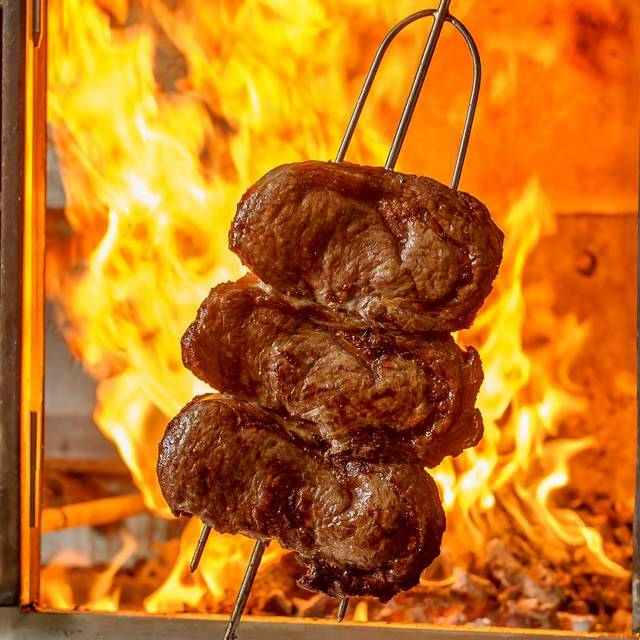 Following a "centuries-old" tradition of cooking on an open fire, diners can experience endless cuts of succulent beef, pork, lamb, and chicken carved tableside in the style of authentic Brazilian gauchos. A two-sided disk is used by diners to signal when they’re ready for these sizzling skewers: green means "More, please!" and red means "I've had enough, for now." Eat as much as you want and at your own pace. The gourmet buffet features over 70 hot and cold items to accompany your meal including Brazilian-style potato, corn bread and polenta. 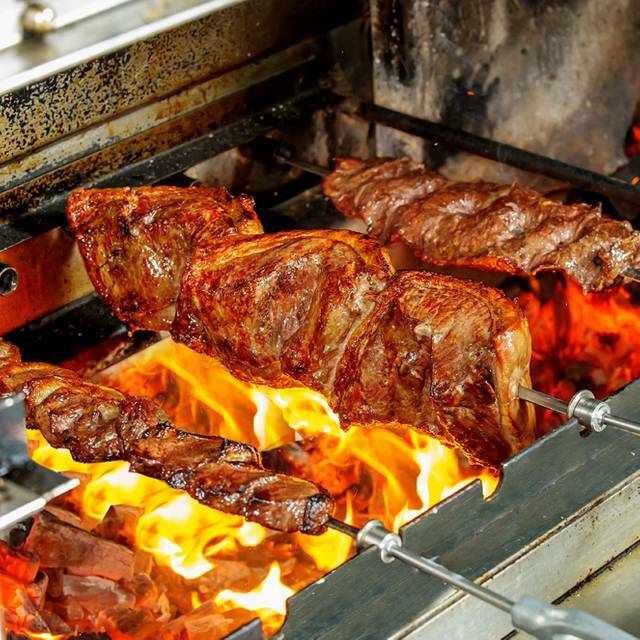 Brasa is the best place to experience a taste of South America. 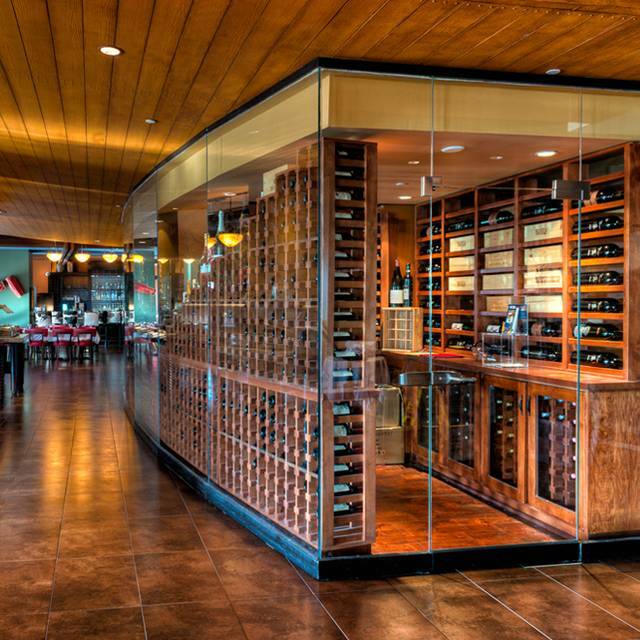 Brasa is also home to a sophisticated wine collection with a fully enclosed, two–storey wine room containing an extensive selection of world-renowned wines. Drink order was wrong, for both me and my wife. Seated in family section, even though we where a couple, and there was seats in couples area, reservation was for 2. Food selection slow and limited. Amazing restaurant if you like meat! Not worth paying the price if your gonna stick just to the salad bar. 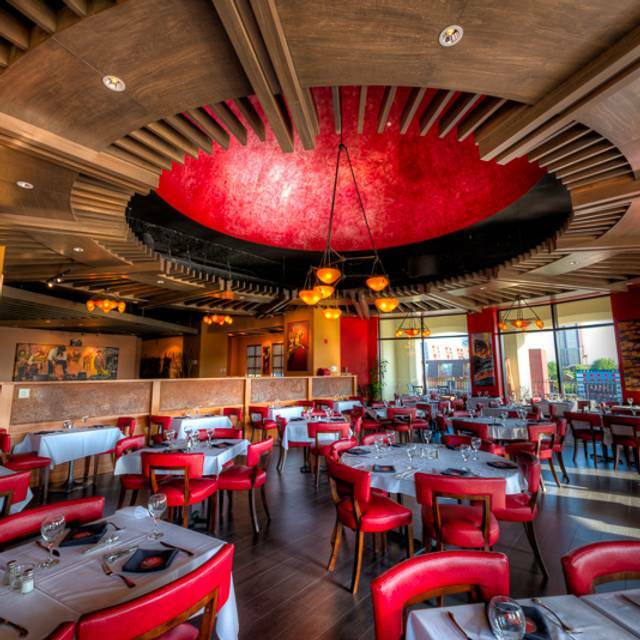 Brasa is an experience you will never forget. Amazing food, great entertainment. It is expensive but Sooo worth it. My recommendation to management is to watch the prices... 12.50 is a bit much for drinks when ur already paying 59.95 to eat. Having been to both of the steak houses in Niagara, this one certainly feels less Authentic. Having said that the quality of the food is very good albeit a bit more expensive than the other option. Service was also lacking slightly on the drinks. But the meat and other things came frequently. The restaurant is absolutely amazing! Love how easy it was to make reservations to being greeted by April the hostess with a big smile making us feel welcome. Our server Eddie was extraordinary. He was always around to make sure we were happy with all of our experience. Every one of the wait staff was happy to be there and happy to serve us! Making our visit for our anniversary memorable! Thank you again to all the staff at Braza and can’t wait to come back! Food and the ambiance was GREAT...My husband and I truly enjoyed our meal. It was great but the tourist part of Niagara will rob your wallet. I’ll go to Copa-Cabana next time. Brasa is just too expensive. If you’re rich, go ahead. But for your average income family, nope. $177 for two. Awesome place. Incredible food. The cheesecake was by far the best my wife or I have ever had. Eddie, our server, was great. We can't wait to return. Not sure if I would recommend this place to a friend. Didn't seem like they had more of a meat selection than Copa, and some of the meat didn't seem like it was better quality than Copa. We weren't placed in the greatest of areas, as we were right beside a wall, so we could only see anything to the right of us, which was just more people. The hosts at the door were not inviting or friendly at all, and the girl who walked us to our table was not friendly or inviting either. Our server Dave was great, always checking in and refilling our waters. Great food, the rotation of meat and selection was good. 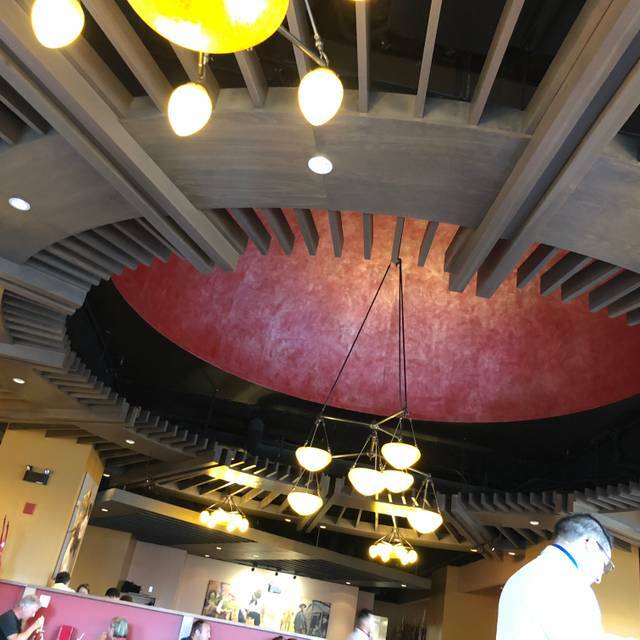 The food was very tasty, the staff was very friendly and my waitress was attentive. It's just one waitress kept avoiding my table, I waved at him, tried to talk to him. From what I perceive to be a purposeful act. It was quite disturbing and disrespectful to my family. Amazing service. Our server Ryan was fantastic. He went above and beyond with all of our needs. Definitely recommend and definitely will return. Food was great. Staff from beginning to the end was super helpful. Thank you. Some of the meat that was brought to us was ice cold, the filet Mignon they had featured that night we had to ask for at the end, they kept coming by with the cheap cuts of meat (chicken, pork and beef rump) and not the good expensive cuts. our wine was brought to us half way through dinner. Very disappointing and the cost has gone up to $59.99 not worth it!! Go to a steak house and get yourself their best steak for that price. Usually a filet Mignon and lobster tail for that price could be had. A must try!! Very enjoyable evening for a large or small table. The whole experience was completely different and extremely exhilarating. The way all the workers presented themselves for one was very professional. The food was spectacular and the price was fair considering how much meat you able to consume. Every time we visit Niagara Falls for we eat dinner here. The food is delicious and there is a huge variety on the salad bar as well. It is well worth the cost. The atmosphere is clean and well decorated. The staff is friendly and attentive. 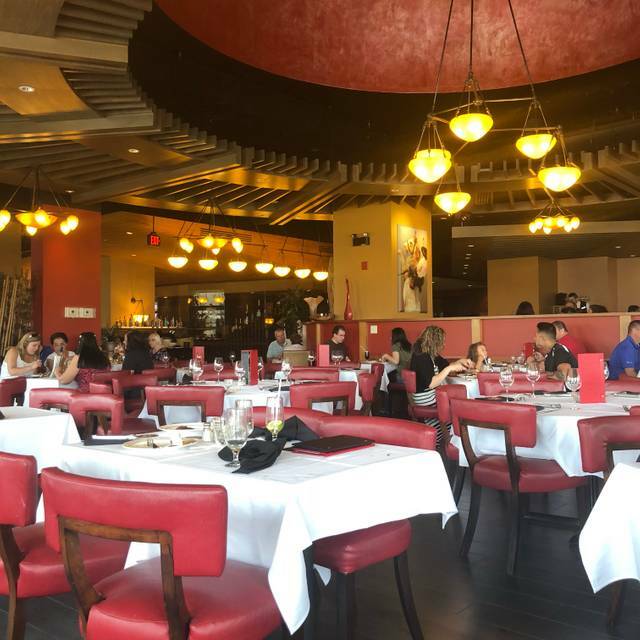 If you’re headed to visit Niagara Falls, eating dinner at Brasa Brazilian Steakhouse is a must! On top of all the great grilled meat, our server was perfectly attentive to our needs and even treated us to a great piece of creme brulee cheesecake! I love every time I get to take my lady and I there. Will be back whenever we are back in Niagara Falls. The restaurant voucher helps keep the meal at a good price. From the greeters to the servers the staff was friendly and attentive to my needs. The food was outstanding. The price I thought was very reasonable for such delicious foods and all you can eat. The Service is great, they do truly make your dining experience enjoyable...really! Now the Food!... Don't know where I've ever had multiple cuts of (Beef,Chick,lamb,Saug,Pork) served hot at your table!! Oh and not to forget the whole grilled Pineapple! A Wonderful most delicious Salad/side bar! Smoked Salmon...Mmmm...Rich flavored Cold cuts & Chesse! Pasta dishes/ soups...So much Variety...Breads. We have Celebrated 1 engagement party and 2 Wedding Anniversarys, will continue to Travel from Kitchener... to have our taste buds/stomachs Fully Satisfied! Thanks Again, Thompsons. We were a little shocked at the price for the buffet on a midweek night at $49.95 each and when we asked about the price one hostess in the morning quoted us $55.95(?). I ordered a Martini thinking it would be same price as there specialty martini's ($13.50) but when we got the bill they charged us $16.50(? don't get that!). Food was OK (salty as usual) and after using there $40.00 coupon paid $120.00 extra for 2 (included the 2 drinks). Although we have been many times including a 50th BD for my wife with 45 people, we won't go back. Just not worth it for us. This was, by far, the lowest quality Brazilian Steakhouse we've ever eaten at. It's a hotel restaurant and that's what it feels like. The interior is dusty and a bit claustrophobic (outside of the dining room, which had a beautiful view). The food seemed recycled, uninspired, not extremely fresh... The smoked salmon dripped pink food coloring all over my plate. The lamb was either spoiled or it was the gamiest lamb I've ever eaten. My glass of wine was the only highlight for me. For my husband his highlight was the sausage from the buffet. All of the meat was overcooked and, I suspect, reheated from the previous night. We both felt queasy the rest of the night. I don't mind paying $160 for a high quality meal. What they offered wasn't worth the price. Let's just say the free breakfast buffet that the Hilton offered the next morning (in the same space) was easily the higher quality of the two meals. This restaurant did not disappoint. The only reason I gave it 4 stars instead of 5 is because some of the beef was tough and dried out. The sides/salads were superb (I could have made an entire meal just with that). I highly recommend. We were excited to go to Brasa. It seemed like a really fun concept, and it was with the red and green tags. We enjoyed being tempted by the many choices and didn't want to put up our red signs! I especially loved the grilled pineapple. Our server was great, very attentive. I was quite disappointed with the cuts of meat. They were very chewy and fatty and I had to leave most of them on my plate. I enjoyed the variety and quality of the sides. I left dissatisfied, especially given the very high price tag. The food and service were great! Service and experience was amazing. We will be back in the future. Annually, I take my soon to be wife for her birthday, and we always enjoy it. We were glad to bring friends into the mix, and the staff were amazing in helping keeping that part a surprise. You guys are awesome. Kudos to our server Victor. I would recommend for experience. I felt prices were way too high. Was shocked that price did not include desert. The cuts of the meats that I received were either too fatty or too tough to eat. The other 2 people at my table did not have the same problem. The chicken wrapped in bacon was so dry none of us enjoyed it. It was my husband's birthday so I took him and our kids to Niagara Falls Falls the weekend. He had been dying to try Brasa for years. We have been to Copacabana and loved it. Thought this would have been better but it wasn't at all. A lot of the meats were really fatty and tough to chew a the seafood bar was not that great. Next time we will be going back to Copacabana, this was not worth what we paid. Our server was really nice and ensured we got items we were looking to try that was probably the best part of our visit. We come to Canada at least 2 or 3 times per year and always come to Brasa. The food is always outstanding and the service is incredible. Copacabana was simply more delicious. The food at Brasa doesn’t stand a chance.